Little native rat (deceptive little creature). A delightful par 3 set amongst numerous mature pine trees. This hole plays slightly uphill to a green that will have only sky as a backdrop. 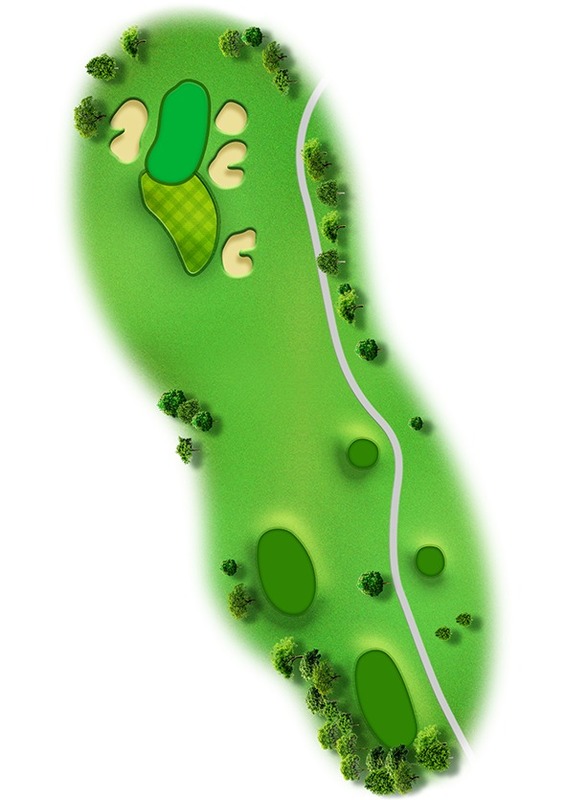 A very natural green setting and variable winds will make club selection a complicated task.